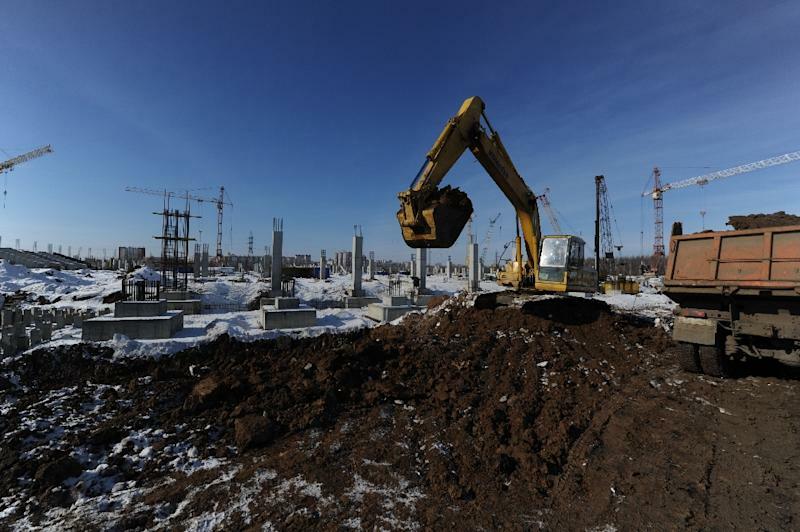 Moscow (AFP) - Russia's recession worsened in the second quarter as gross domestic product shrank by 4.6 percent compared with a year earlier, battered by lower oil prices and Western sanctions over Ukraine, official statistics showed Monday. The preliminary estimate from the official Rosstat agency marks a steep drop from the 2.2 percent contraction in the first quarter of 2015, and is worse than an earlier government forecast of 4.4 percent. A sharp contraction had been widely expected, with Russian officials saying that the country's economic crisis has reached its nadir. But a new fall in crude oil prices has sparked a fresh drop in the ruble in recent months and thrown assertions that the country has shuffled off the worst of the crisis into doubt. The drop in GDP is Russia's sharpest quarterly contraction in six years as authorities struggle with one of the worst downturns in President Vladimir Putin's 15 years in charge. "We hope that 2Q of this year could mark the bottom of the current cycle, and (second half of 2015) numbers could look somewhat better," Oleg Kouzmin, an economist at Renaissance Capital, said in a note. "We expect GDP growth to fall by 3.6% in a whole of 2015, but that requires $60 per barrel of oil, so the fall could be closer to 4% if oil stays at current levels." Russia's ruble lost around half of its value last year as oil prices plunged and Western sanctions bit but rebounded over the spring as energy prices stabilised. A recent decline again in the price of oil to under $50 per barrel has, however, seen the Russian currency lose about 20 percent of its value since mid-May as it slipped back to its lowest level against the dollar since February. Some analysts said that the fresh drop in the oil price meant the outlook for Russia's economy was looking increasingly dark, especially as industry has failed to take advantage of the added competitiveness caused by the ruble's fall. "Russia’s recession deepened in Q2 of this year and with oil prices having since taken another leg down, the economic prospects for the coming quarters look pretty grim too," Capital Economics said in a note. Russia's central bank was forced to drastically hike interests in December as it battled to stop the ruble plunging, but has cut back the rate this year. 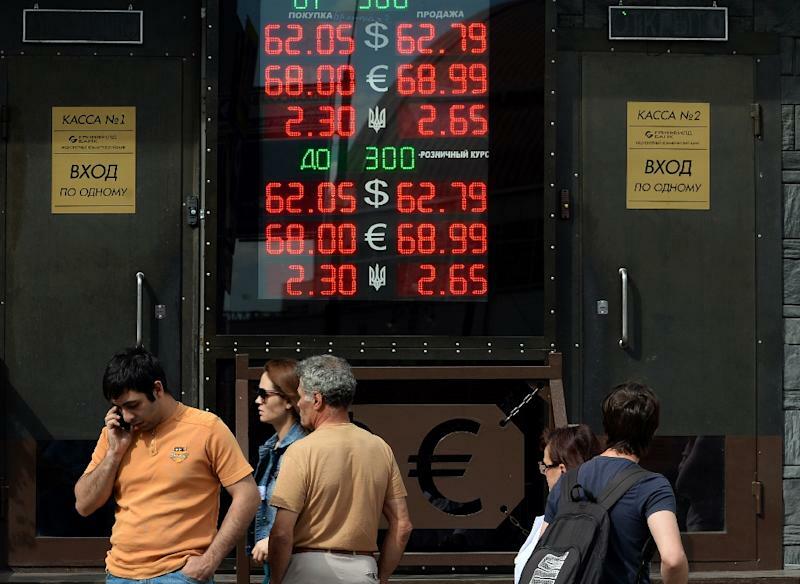 However with the ruble tumbling again, there are fresh fears over inflation and the central bank limited itself to a 0.5 percentage point rate cut in July. Russia's central bank chief, however, insisted Monday that the country's beleaguered banking system is out of danger after being rocked by country's economic crisis. The World Bank in June predicted that Russia's economy would shrink by 2.7 percent this year but return to growth of 0.7 percent in 2016. The International Monetary Fund estimates that Western sanctions imposed on Moscow over its meddling in Ukraine could cost Russia some 9 percent of GDP in the medium-term.